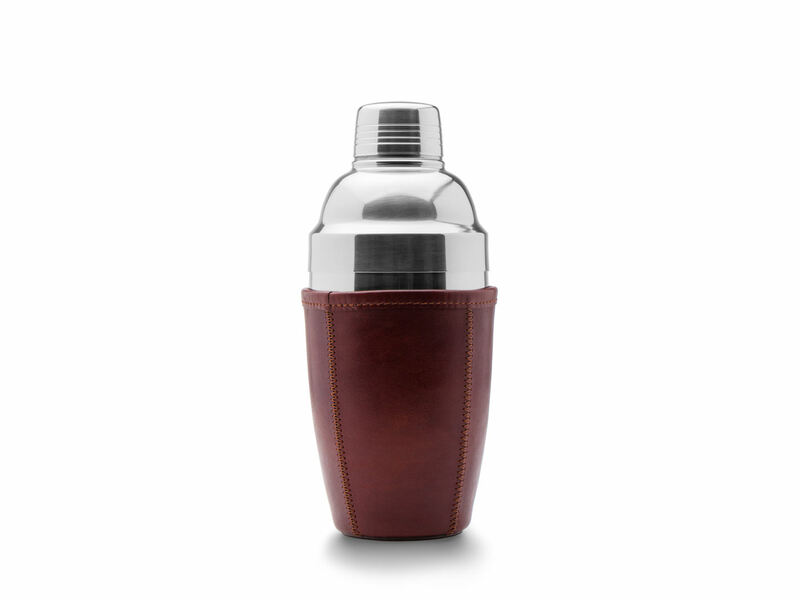 The holidays are a time to celebrate- and this brushed stainless steel shaker is covered in a rich Italian hand-stained leather that really makes it special. 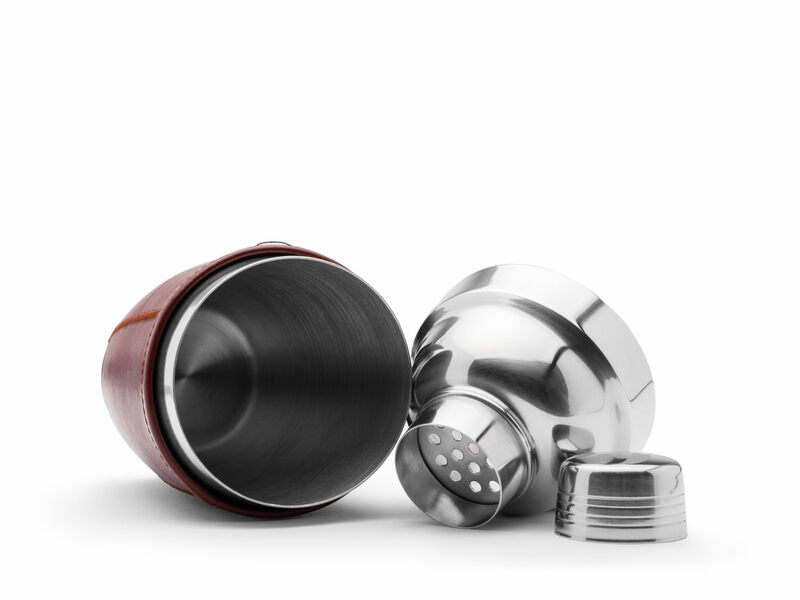 The shaker is removable to make washing easy. Don't worry too much about liquids coming in contact with the leather, though because this leather will get better the more you use it (not that we don't believe in moderation!! ).